e-Special Entry Darshan Ticket Costs Rs.300 per person. 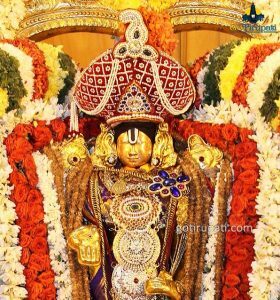 Devotees can also get especial Entry Darshan tickets at Tirupati Head Post Office as well, which is near to Gangamma Temple. 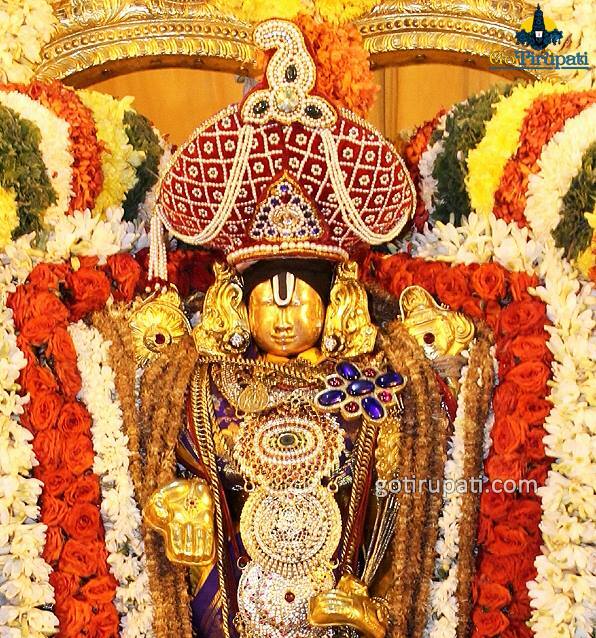 2) Sri Vari Sannidhi which is on the way to Kapila Theertham. 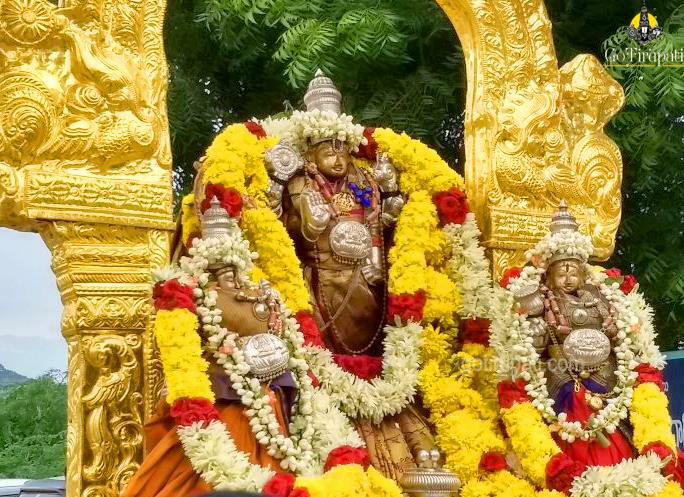 10 a.m. 11 a.m. 12 noon 1 p.m. 2 p.m. 3 p.m. 4 p.m.
Usually Reporting timing will be 1 hour ahead of Darshan Time, which means if Reporting time is 10 A.M, then Darshan Time will be 11 A.M. 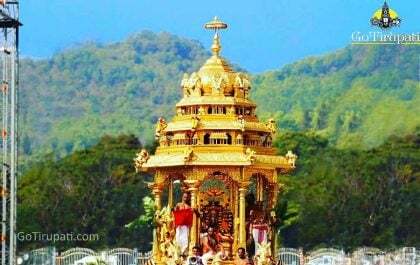 Please note that the Darshan Time is the actual time when a devotee is allowed in Queue Line for Darshan. 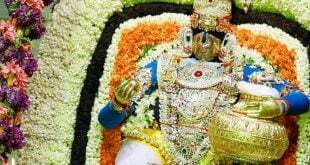 And it will take approx 1:30 -2 hours to complete Darshan. T.T.D is providing additional Laddu Tokens to Devotees in Vaikuntam Queue Line, Now Devotee can get two additional Tokens by paying Rs.25 for each Laddu. In total, a devotee can get four Laddus from Laddu Counter. 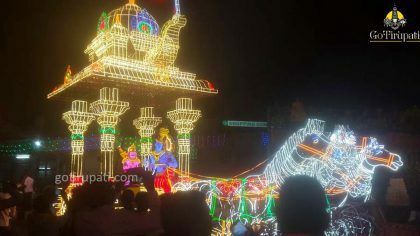 e-Special Entry Darshan tickets are available online at ttdsevaonline.com. 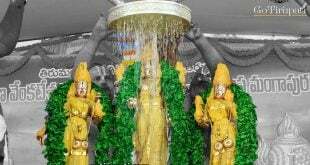 Speical Entry Darshan Tickets are also provided to pilgrims on Arrival at Vaikuntam 2 Q complex entrance. 1) If you are purchasing e-special entry Darshan ticket for 11 a.m and for which Darshan time is 12 p.m, then the devotee is allowed till 12 p.m (Darshan Time as mentioned in the ticket). 3) And the ticket is non-transferable from person to person. 5) No need to upload a photo while booking Rs.300 tickets. 6) Children under 12 years don’t need darshan or seva tickets. It is free entry. If you kid is near to 10 years, it is advisable to carry are proof. You need to check that with the official site .